he has learn to control is anger around people. good on him. Hamilton has learned that anything he could say about the incident with maldonado would be blown out of proportion. The race is over, there is nothing he can do about where he finished, time to move on. Just think, if he said maldonalo was an idiot, this forum would run out of pages with the comments from the haters. BUT he would be right. He's still in the title fight. Not much has changed really except Alonso has taken a substantial lead. That combined with the fact that Ferrari fully support Alonso and would throw Felipe through a brick wall if it meant giving Fernando one position, is what will make this a difficult season for Lewis. McLaren have to get their act together. Another crucial pitstop catastrophe today. When will it stop? "You never let people past, you've got to race for every position you can get." "You put your heart and soul into some things, and when you don't get the results that you feel you worked for, it's very tough, but that's life." 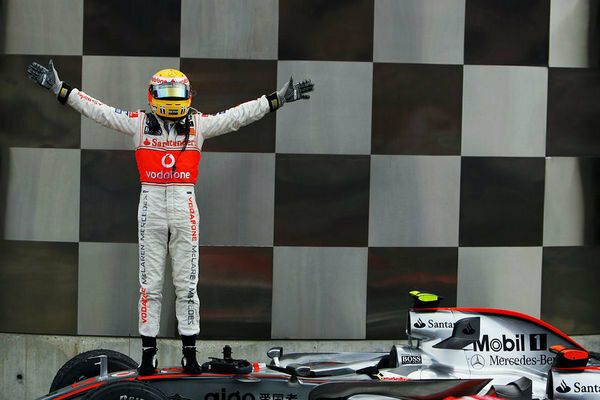 McLaren was very bad today, Button was only in the pionts because of all the retirements. The lost ground to RBR, Ferrari & Lotus. Silverstone's exactly a week away. "Lotus in the mix for Hamilton as concerned McLaren star looks for new deal"
Daily Mail says Hamilton is considering moving from McLaren to Lotus as McLaren haven't been able to keep up with other front-running teams, but I can't see it happening. Either this is product of the imagination of an overeager journalist, or Hamilton's own management team spreading these rumours to gain leverage in negotiations with McLaren. How can you hate this guy ? Lewis apparently hitting the clubs hard this week. I sincerely hope this isn't a repeat of 2011....As a fan I hope he's 100 % focused and determined, because he needs to be at his best to even win this championship. The car has gone massively backwards. The upgrades did not work. The have lost the direction completely. IMO they will put all resources very soom in the next years car. I don't think it's a repeat of 2011. Last year he was desperate, this year he might just take it like it is , cruise & collect some points and look foreward to the new season in another team. I have been wanting to download some of his races from previous years, can anyone help with that? I am torrent savvy, so please message me if you know where they are available on the net. I did try looking up on the pirate in the bay website but they only have races for this year. I am willing to purchase entire races too if they sell them, but so far I have only seen season review DVDs for sale, so any help would be appreciated. @chinki the best you can do is trying to download the full 2007/2008/2009 seasons, which aren't easy in the least....I downloaded them some years ago, unfortunately I forget the site mate. also Heikki 100th gp but 99 start. Old vid but not sure if you guys have seen this.. He's swimming pool off Vettel so he's probably having fun out there. have to watch the replay on speed later. man,wdc just took a big hit. too far back now. Yeah but he still steal the show with that unlapping. Big ask now, 60 odd points or so with 10 races remaining. Still possible, and with the Mclaren seemingly back on the pace, throw jenson into the mix and perhaps its not quite as bad as it looks. Alonso never seems to miss a trick though, and is ever so consistent. I hope and feel as though Hamilton has had his rough period this season with the DNF in valencia, Average result in S'stone and todays DNF. Hoping that he can bag a couple of wins in the next 3 (Monza and Spa, should suit them).